The electro-hydraulic RKH 250 EH kart lift developed by RiMO is every mechanic’s friend and convinces with ease of use and safety. It allows a single person to lift a kart up to an ergonomic working height without any help and effort. 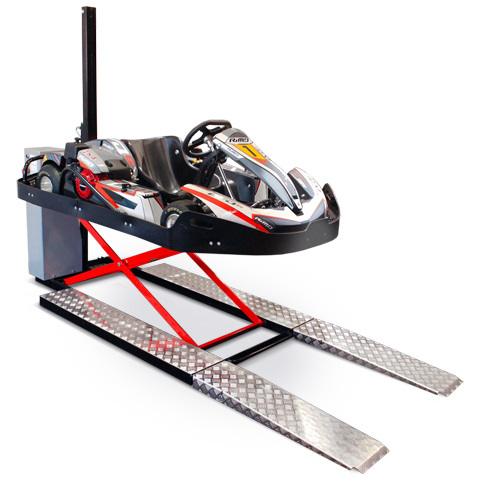 Safe working on and also under the kart is now possible in a convenient and rational way.